Have you struggled to generate consistent traffic to your website? Are you lost and can’t seem to figure out how other site-owners are getting so much traffic while you’re getting next to nothing? Obviously in order to have a thriving business, a website needs to have traffic. There are many different and effective ways in generating traffic. Some of these methods may be uncommon but they indeed work. This guide takes you by the hand and shows you how the most successful business-owners are getting their traffic and how you can implement those same methods. Competition doesn’t help matters which is why you need to put forth the effort. That means building an awesome site with an even more awesome user experience. Those are the words straight from Google. When you build awesomeness, good things happen. You’re going to learn how to get people coming to your site. And we’re not talking just random people. We’re talking targeted traffic. People who are actually intending to read your content and make a decision to subscribe or buy. 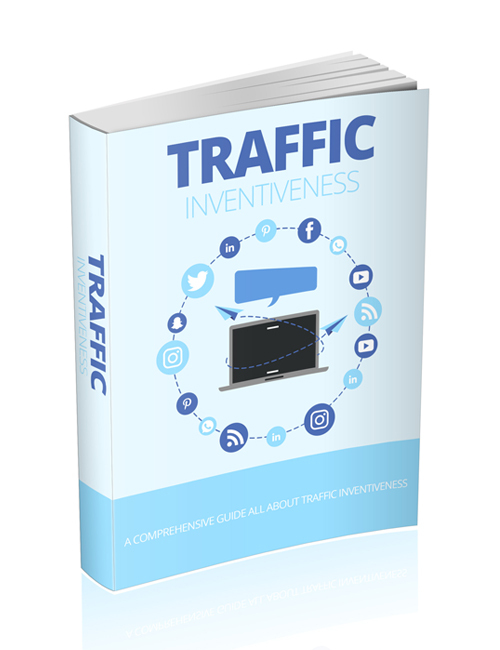 This is the book of inventiveness where we really get inventive in bringing traffic to you without you having to resort to emptying out your wallet for an SEO agency that will run you dry and get you little in the way of results. Grab this guide now and let’s rock.